Our names are Bwalya Kalunga, a Research Technician in the Ministry of Agriculture under the Zambia Agriculture Research Institute (ZARI) Department, and based at Mount Makulu Central Research Station; and Munir Zia from Pakistan who is the Research and Development Coordinator at Fauji Fertilizer Company Limited. 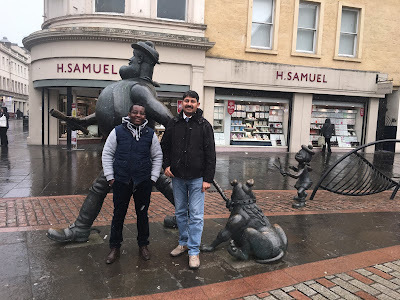 We undertook a Commonwealth Professional Fellowship (CSCUK 2018). The fellowship was attainable at the BGS hosted by the Inorganic Geochemistry (IG) team within the Centre for Environmental Geochemistry. The visit has acquainted us on very important aspects of lab work, i.e. health and safety, sample handling, sample preparation, sample dissolutions, modern methods of analysis, quality assurance, data management, staff coordination and relation which most organisations lack in developing countries. The fellowship will be very pivotal in lifting our home country’s laboratories to be on the next level and also in demonstrating confidence in data output and its publication. During the fellowship we were exposed to the use of various laboratory equipment such as, TIM865 Titration Manager (pH/Alkaline), NPOC, IC, and ICP-MS. Due to the sensitivity of the equipment, we acquired knowledge on the need for good laboratory practices that require a clean environment. Additionally how the samples should be handled when running the equipment by use of a quality control regime to monitor the performance of equipment in the short and long-term within acceptable working limits. After a few briefings on lab protocols, Dr Zia focused more towards learning of QGIS skills for the development of soil fertility maps using 70,000 data points from soil samples collected at country scale with help from Dr Marieta Garcia-Bajo and Dr Louise Ander. This effort goes back to 2012 when Dr Zia first visited and received advice on how to locate sample data from an annual soil sampling campaign of 25,000 collection points. Dr Barry Rawlins was involved in providing advice at this point and continued help from IG to guide Dr Zia in collecting field data in the appropriate format to produce a digital output for soil chemistry on this visit which will be highly valuable for use by policymakers e.g. soil fertility, pH maps. The overview of principles of QA, which includes documentation, Standard Operating Procedures (SOP's), Quality Control samples and monitoring processes will help us develop our own systems in Africa and understand the challenges to implement them and possibly even aim for appropriate accreditation. This is also applicable to Fauji Fertilizer Company (FFC) to which Dr Munir Zia represents since FFC is also going to set up a huge ammonia complex in Tanzania ($2B). 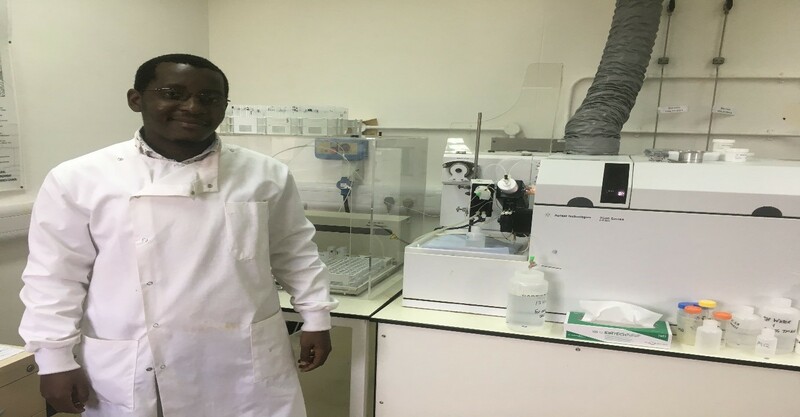 For this purpose Dr Zia also had a placement at Rothamsted Research to learn more in depth about the Africa Soil Information System (AfSIS). Our collaboration with the BGS Inorganic Geochemistry laboratories will act as a bench mark to this monumental task. This can be achieved in a stepwise and staggered manner. Accreditation is possible for African laboratories. While Dr Zia visited the Giants’ Causeway, Bwalya had an opportunity of attending an Annual Meeting of the Soil Research Centre at University of Reading. Basically it was a good experience to meet up with scientists from different disciplines on how best soil health could be sustained through the introduction of cost effective ways of managing soil nutrients and also coming up with a policy to remedy the farming practices that are contributing to nutrient depletion. Bwalya also had a tour of laboratories at Nottingham University with a view of trying to see different working culture. We also attended a 2-day conference at Dundee in Scotland which was on 27-28 February, 2018. There we had a wonderful experience during and after the conference. This conference focused on the protection of the environment thus boosting agriculture growth. People from different places across Scotland, Ireland, and England, with vast experience and of course from various disciplines. The returning part was so great because we experienced the trains being cancelled due to the ”beast from the east”..
With the MP-AES equipment which was purchased by the Royal Society-DFID project for Bwalya’s lab at ZARI, it will actually enable was to work effectively in credible data generation through the skills and knowledge acquired during the fellowship. Agilent’s 4210 MP-AES is the ideal instrument for our institutions looking at transition from Flame Atomic Absorption Spectroscopy (FAAS) to another technique. By using nitrogen as the source gas for the plasma, running costs are greatly reduced, and by removing the requirement for hazardous nitrous oxide and acetylene safety is greatly increased. Additionally the higher temperature nitrogen plasma atomization/ionization source improves detection limits, linear range, and long term stability, and allows the sample preparation process to be greatly simplified. Geostatistical approaches learnt by Dr Zia at BGS, and UoN demonstrate the value of private sector farmer’s field data as a whole. Prediction modelling suggested a wider scale deficiency of zinc, phosphorus, and somewhat potassium across Pakistan. Dr Zia training also demonstrates the potential power of well-curated, georeferenced agronomy data from the private sector (or where public, or public-private, systems exist). These resources can have collective benefits reaching far beyond those to the individual farmer for whom field-specific advice is provided. The value of collecting location details and maintaining a consistent database of results and sampling information should be developed more widely, to allow such spatial assessments to be implemented more frequently. The outputs of these geostatistical modelling approaches made predictions on un-sampled grid locations, so have a further benefit that they do not reveal original (private) sample location or data information. 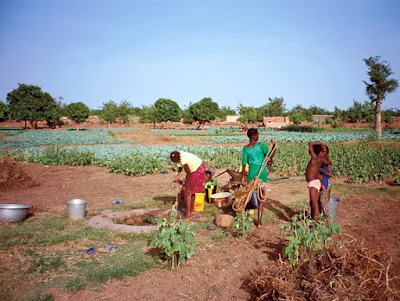 Therefore, regional or national predictive modelling can deliver strategic information to support food security in terms of both yield and micronutrient concentrations, including in small-scale agriculture situations. The prediction maps from this work will be presented at the SEGH conference this July in Livingstone Zambia (https://segh2018.org/ ), prior to publication. The onus is on us to make sure that the skills acquired, should be able to help us in effectively implement and execute laboratory and geospatial techniques for running of laboratory instruments and handling of large datasets. 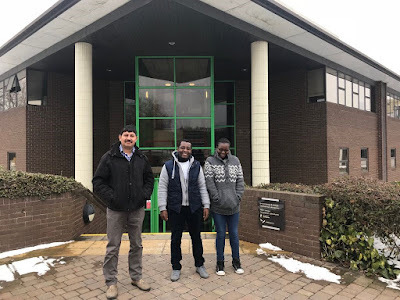 Our next step is to have a joined training programme in Lusaka (lab scientists from Zambia, Zimbabwe, Malawi, Kenya) resulting from a network of 8 institutes supported by the Royal Society-DFID project, and also trying to see the progress of the laboratories after acquiring knowledge from the British Geological Survey. Additionally, discuss the long term goals on how they can be met to engender trust and confidence in data produced from African labs. Analytical exercises using our own in-house produced reference materials (learnt at BGS as part of Innovation funding) will provide a measure of performance for analytical data will also be part of the training in developing quality assurance/management programmes. 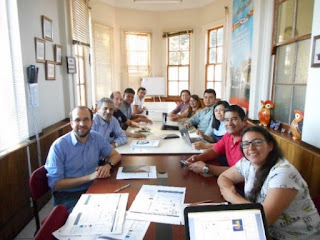 After that the lab scientists will procced to Livingstone for a 34th International Conference under Society for Environmental Geochemistry and Health (SEGH), where we as Laboratory Scientists will have an opportunity of seeing how data generated from labs are used in scientific presentations. We will also have the opportunity to present a joint poster presentation to discuss the challenges that African labs face and potential solutions to overcome these challenges to produce confidence and trust in their data output. Part of what I call the ‘geology – energy – climate nexus’, the intimate relationship between geoscience, energy supply and climate change, concerns groundwater and its importance to climate change adaptation. The question is: just how important will groundwater be in helping people to adapt to climate change? The answer is likely to contain a lot of geology. A recent World Bank report states that the impacts of climate change will be channelled primarily through the water cycle in that systems of food, energy, and urban and rural life will mainly feel the effects of climate change through water. In many parts of the world, groundwater is the chief source of water for domestic, agricultural and industrial use. It also has a crucial role in providing a natural buffer against seasonal variability – and will likely be important to adapt to climate variability. Many countries, abstract water from aquifers. Around 96% of global available freshwater resides in aquifers. About 70% of drinking water in the European Union, 80% of rural water supply in sub-Saharan Africa and 60% of agricultural irrigation in India depend on groundwater. Many countries, therefore, have large groundwater-dependent economies. Groundwater also provides baseflow to many rivers and sustains ecosystems by supporting wetlands and other aquatic ecosystems. A few assertions can be made about the effects of climate change on groundwater. It is likely that recharge patterns will change. (Recharge is the process of water entering an aquifer mainly from the surface of the Earth). There is also likely to be increased demand, especially from irrigation, which today takes 70% of global groundwater withdrawals. Groundwater resources are most likely to reduce in areas of long term declining precipitation, but new research suggests that increasing intensity of rainfall with climate change may actually increase rates of groundwater recharge. Climate change may affect the quality of water in aquifers: with increasing temperature, groundwater salinity may increase as more water evaporates before it can reach deeper levels. Rising sea levels will also force seawater inland, changing recharge patterns. Groundwater’s role in cushioning against climate change is perhaps most important in Africa. In Africa as a whole, groundwater is the major source of drinking water and its use for irrigation is forecast to increase as Africa’s economy and population grow. Despite its importance, there is a dearth of detailed local quantitative information on groundwater in Africa. A compilation of data by BGS’ Alan MacDonald and colleagues allowed continent-wide estimates of the amount of groundwater and potential borehole yields resulting in a figure for total groundwater storage in Africa of 0.66 million cubic kilometres . Not all of this groundwater would be available from wells, but this figure of two-thirds of a cubic kilometre is one hundred times larger than some estimates of annual renewable freshwater resources in Africa. This groundwater resource is not evenly distributed: most is present in north Africa (Libya, Algeria, Egypt and Sudan). 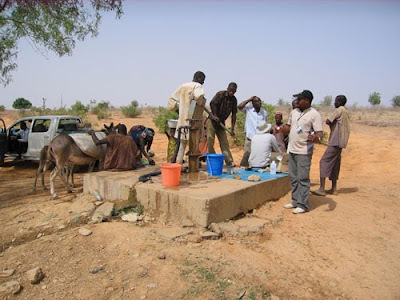 The same study indicates that in many areas, well sited and constructed boreholes could yield useful amounts of water for low intensity rural activities and the aquifers they penetrate will have enough water to sustain abstraction through seasonal variations. For industry and irrigation, the potential for higher yielding boreholes, for example those that could deliver more than 5 litres per second, is much more limited. With climate change and population increase this is likely to pose a problem. In East Africa alone, population is forecast to grow from about 300 million today to 800 million by 2060 and 1150 million by 2090. Many of the countries in East Africa are already water stressed based on per capita annual water availability, but by 2100 this will increase to nearly all. A review by a team lead by Umesh Adhikari of the effect of climate change on runoff , shows huge uncertainty in studies of river catchments. An example is the upper Nile catchment which is predicted to have a change by 2075 of between 25% less, or 32% more, runoff. Clearly a prediction involving less runoff has serious implications for the population that depend on water. How much of the deficit can be compensated for by, for example, groundwater? Are the aquifers large enough in the area and will water wells deliver the deficit? Much of the research needed to answer these questions locally has still to be done. This is an example of how climate change adaptation can come down to very geological questions. Another aspect of groundwater change in relation to climate change is saltwater intrusion. This is the movement of saline water into freshwater aquifers, which happens naturally in most coastal aquifers, because both kinds of groundwater are in close proximity. Coastal aquifers provide groundwater for the more than a billion people. Saline groundwater is denser that fresh groundwater and so it tends to form wedge shaped intrusions under freshwater. Intense abstraction from freshwater wells can draw saline water levels up and allow saline groundwater to penetrate further inland, below ground. How far this saline water moves inland is closely controlled by the geology. Saline groundwater is not just a direct problem for domestic water and irrigation. Soils can also be affected. In Bangladesh, for example, increase in soil salinity may lead to decline in yield of staple crops like rice and reduce the income of farmers significantly. There are few detailed local answers to the many questions about run off, inland groundwater and coastal groundwater. The detailed study, when it comes, should be directed where population will likely concentrate in the future. In the rapidly changing continent of Africa, this needs an understanding of the way that large-scale development might occur, which in turn relates to the distribution of resources and already-established infrastructure. One way to look at this could be through studying areas where future infrastructure development and population growth will take place. What will East Africa look like in 2060 or 2090? Where will the new people, the new industries, the new towns and cities be? A good guide might be the pattern of potential resources like land, water and minerals, as well as existing infrastructure and transport routes. These items are linked into arcs or strips of land known as development corridors. It is in these development corridors where Integrated water resource management (and other environmental management) will be most critically needed. Whatever the resources that the development corridor might link, their growth will ultimately be driven by economics. A development corridor might start as a basic transport route and the addition of other types of transport produces a transport corridor. Efficient corridor operations encourage further economic activity that leads to further investment and, ultimately, the corridor evolves into an ‘economic corridor’. It is worth looking at a couple of development corridors in Africa to illustrate the point. The so called ‘Northern Corridor’ already links the land locked countries of Uganda, Rwanda and Burundi with Kenya’s port of Mombasa. The Northern Corridor could, with more development, serve the eastern part of the Democratic Republic of Congo, Southern Sudan and northern Tanzania. The Nacala Corridor to the south, is less developed. There is considerable governmental and commercial interest because its future purpose would be to unlock the development potential of the hinterland of the Nacala Port and less economically developed parts of Mozambique, Malawi and Zambia. New resources will be accessible economically and the development of business and commerce will contribute to the reduction of poverty. But the environment – including groundwater – will have to be managed. The likelihood is that the pattern of development corridors either planned or already in existence is a good guide to the concentration of population and industry which is the key to understanding the food – water – energy nexus, and the geological aspects of the nexus, whether it be well managed groundwater inland or at the coast. So it’s clear that long term geological studies will be important in understanding the potential for groundwater as a mitigation for reduced surface water, in the developing – and developed – world. It will mean geological mapping and modelling and the kind of long term concerted effort that only geological surveys can supply. If you are interested in the wider geology – energy – climate nexus, read my new book, available from Elsevier, Amazon and (shortly) online through Elsevier’s ScienceDirect. Prof Mike Stephenson is the Director of Science and Technology at BGS. Verschuren (University of Ghent) in cool Cambridge. Scientists braved the “beast from the east” to attend the DeepCHALLA progress meeting of the UK NERC-funded collaborators at the University of Cambridge, UK. DeepCHALLA is an International Continental scientific Drilling Program project, involving researchers from across the globe who are investigating ~250,000 years of climate and environmental change in equatorial east Africa. This work is centered on investigating different biological, chemical and physical properties of sediments retrieved from the depths of Lake Challa, located on the Kenyan/Tanzanian border, on the lower eastern flanks of the iconic Mount Kilamanjaro. 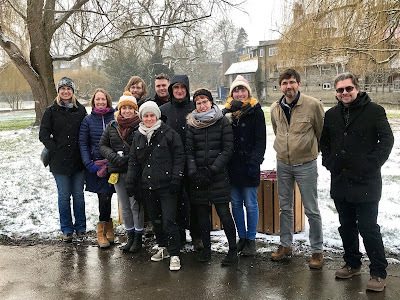 Lucky to have avoided many of the travel disruptions, we huddled in the warmth of the University of Cambridge School of Geography to discuss our preliminary findings on the sediment samples taken last July as part of the subsampling party at the University of Ghent (see previous blog). 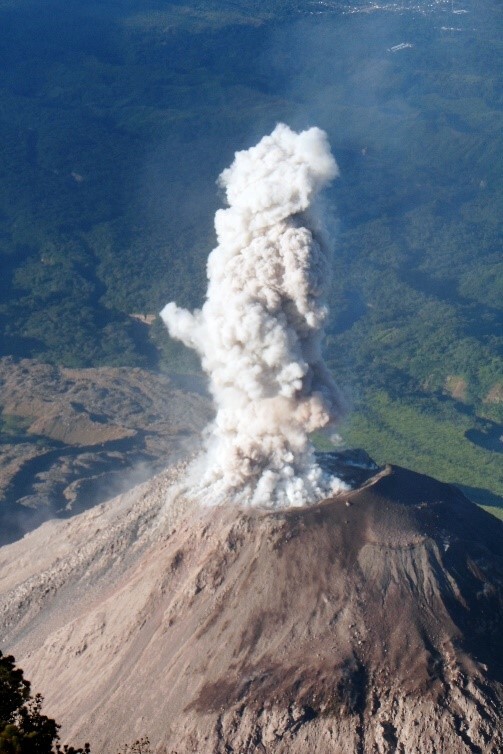 Excellent progress is being made in using tephra (volcanic ash), palaeomagnetic signals and carbon-dating which will help produce a well-resolved chronology of the sediment record. This is often one of the main constraints when interpreting environmental history over long timescales, so it is great to have confidence in when key changes in the record occurred. There was also exciting findings on historical volcanic activity, influences of climate on biological communities in the lake and the role of humans vs. climate on fire regimes, which can be an important driver of terrestrial biodiversity change. SEM image of diatoms from the sediments of Lake Challa. These are diatoms of the species Nitzschia. At Lancaster University, we have been working alongside colleagues at BGS to investigate the sources and nature of carbon in the organic matter of the sediments, as well as the oxygen and carbon isotopes used and stored in the silica cell walls of diatoms, a dominant group of algae in Lake Challa (see previous blog). We are particularly interested in how carbon cycling and lake primary productivity was modified by the severe aridity of the megadroughts, which occurred around 130 to 90 thousand years ago. This work is still very much a work in progress, but we have exciting preliminary findings in reference to the megadrought period. As we collect more data, we look forward to working with others on the project in order to develop unique insights into the environmental history of equatorial east Africa. The next stages for me involve more laboratory preparation of diatom samples, a return to Ghent to collect more sediment to analyse and organizing outreach activities in Kenya and Tanzania. But more pressing is keeping warm, and thinking of tropical climes amidst the icy blast which continues to wreak havoc on much of the UK. Heather is a post doctoral research assistant on the NERC funded grant (between Lancaster, BGS, Cambridge, Belfast, SUERC) based at Lancaster University. At a recent conference at Chatham House I was reminded how important geoscience is to energy transitions. The Energy Transitions 2018 conference looked at some of the technologies and geopolitics that underlie the present movement towards renewables and away from fossil fuels. But of course geology has always been at the centre of energy transitions. The industrial revolution had at its heart a transition from energy from wood and falling water to coal (the start of the fossil economy), in the process allowing greater energy on tap and also greater flexibility to operate (assuming you could get coal to your factory). The fossil economy also meant a long-term buy-in to coal and then to petroleum leading to increased CO2 emissions amongst other more beneficial aspects related to greater availability of energy including increased wealth and living standards. The start of the industrial revolution produced an ‘inflection point’ on the CO2 curve indicating an important point in human history when the focus of energy resource provision switched from the surface of the Earth to the subsurface. The transition from coal to oil generated atmospheric change too. Changes in the 1950s in the rate of human consumption and manufacturing have generated an inflection point known as the ‘Great Acceleration’. So the most obvious relationship between geoscience and energy transitions is the distribution of resources, their extent, distribution and accessibility. In the case of coal, its distribution has governed past industrialisation, and to some extent the accumulation of human wealth and power. The nations of the industrial revolution are still amongst the most powerful in the world. But moving into the next transition to renewables, geoscience and geological surveys will have just as important a role. Decarbonisation will involve geoscience at every level, from straightforward low carbon generation (e.g. geothermal), to energy storage to counteract renewables intermittency (e.g. compressed air energy storage, heat storage), to emissions abatement of fossil fuel generation and industry (e.g. carbon capture and storage). Geological studies that support these technologies will therefore be vital to the effort to go through the next transition. Studies show that transitions can be slow because of the in-built inertia of the incumbent technology. This may be visible in the developing world which is poised to industrialise and to experience changes in living standards, wealth and energy usage. Most forecasts suggest that energy demand will increase in the developing world, but the extent to which this demand will be satisfied by fossil fuels is not known, but could be considerable. India is a case in point. The forecasts of the IEA, EIA and BP suggest that much of India’s energy in future will come from coal. 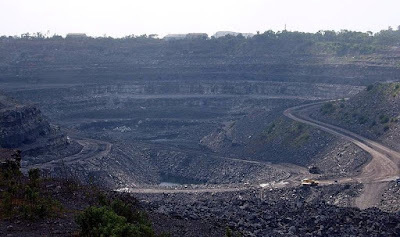 At present coal provides about 70% of India's electricity but about 243 GW of coal-fired power is planned in India, with 65 GW actually being constructed and an extra 178 GW proposed. Work by lead by Christine Shearer of the charity CoalSwarm has surveyed this proposed ‘fleet’ of Indian coal power stations. Their survey shows that coal plants under development could be producing 435 GW of coal power by 2025, and, assuming an average lifetime of 40 years, the coal plants could be operating as far ahead as 2065. Such a commitment to coal would guarantee high Indian greenhouse gas emissions for many years to come and prolong the dominance of fossil fuels, freezing out renewables. If the developing world takes up fossil fuels what hope do we have to keep within the 2 degree limit? 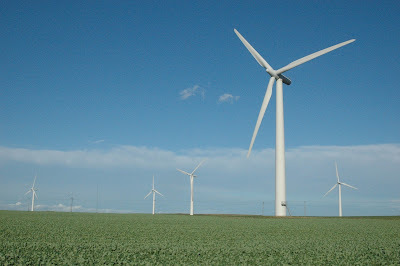 Human energy systems - the economies that are built around coal, oil and gas – contain inertia that slows down change. 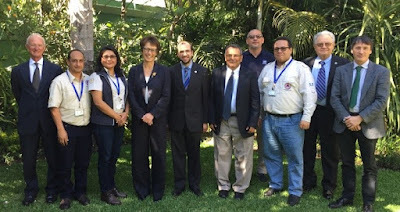 They also operate in similar ways to the physical science feedbacks and tipping points of the natural climate system, and many other natural systems and cycles. There are serendipitous events that lead to the increased use of fossil fuels, and positive feedbacks that allow fuels to rapidly grow. 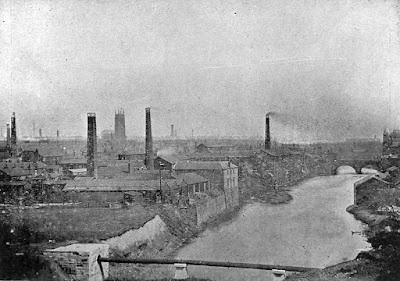 The industrial revolution has many examples – like the introduction of coal/steam powered pumps that allowed coal mining to go deeper below the water table, so that more coal could be mined. Regulation and policy matter too – and politics. So to be able to understand energy transitions properly, it’s not just technology that matters – so does an understanding of human systems. What role do geologists play? But how can geologists and geological surveys be part of the transition? We should be thinking about geological studies that support such diverse aspects as pumped hydro storage, low enthalpy geothermal, compressed air energy storage, hydrogen storage, CCS, and biofuels and CCS (BECCS). We should be thinking about geological studies to support infrastructure (the pipelines for example) and where they might go. This will mean linking in with the Government’s Industrial Strategy and place agenda. 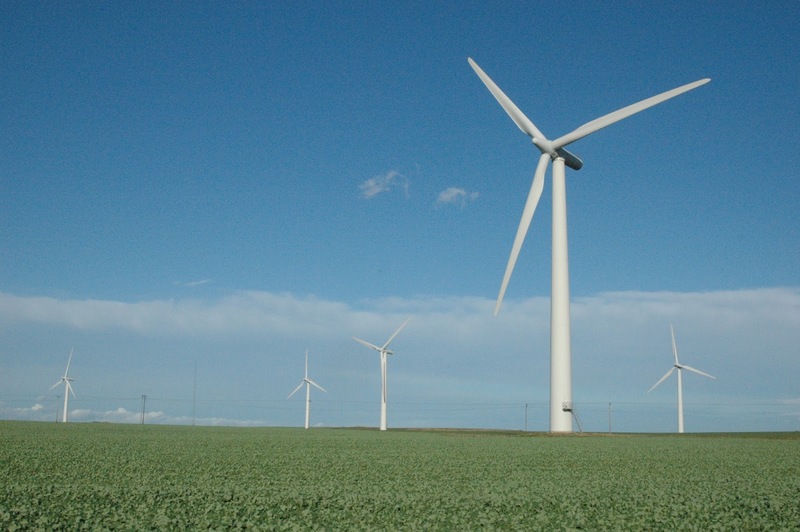 Natural gas may also have a place in this work since it is (at the moment) the de facto way that the energy systems of the UK and elsewhere are adapting to the intermittency produced by increasing renewables. We may even have to start thing harder about batteries and the where the metals that make them might come from in the future! Prof Mike Stephenson is the Director of Science and Technology at the BGS. My name is Coleen Murty and I began my PhD with Newcastle University and the British Geological Survey in September 2017. 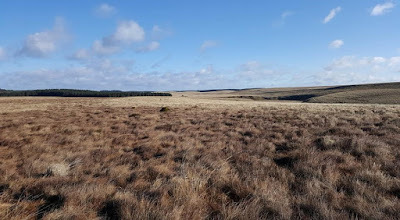 My research aims to increase current understanding of carbon cycling in peatlands and determine whether these large terrestrial carbon sinks can be preserved, protected and even harnessed to store external carbon. In this blog, I talk about the experience I had while out on a recent field visit to my study site in Cumbria. In late February 2018, I was joined by Chris Vane (British Geological Survey) and Geoff Abbott (Newcastle University) on a field visit to Butterburn Flow, the largest of 58 wetlands which lie on the border between Cumbria and Northumberland. Butterburn is a Site of Special Scientific Interest (SSSI) and is considered one of the most valuable mires in England, operating as a substantial carbon sink. We were particularly lucky, as the weather was perfect with clear skies and sunshine, which is a rare occurrence on Butterburn Flow! During our 3 day visit, we took water table measurements and collected peat cores, water samples and moss samples. One of the main challenges of the trip was carrying gear and equipment through uneven and boggy ground containing loads of hidden ditches! Although this provided me with a great opportunity to learn the technicalities of collecting different types of peat cores. We collected a series of 1-2 m peat cores using a combination of Russian coring equipment and polycarbonate tubes. Various cores were taken from 4 different sites across the bog, each containing a water level datalogger used to monitor changes in the water table overtime. Water data and air pressure can be downloaded onto an android device and correlated with peat cores taken nearby. Changes in the water table can have positive or negative impacts on a peatlands ability to accumulate carbon and therefore must be carefully monitored. The collected peat cores will be used for a combination of geomolecular and bulk geochemical analyses: from bulk density measurements used to estimate carbon stocks, to a series of laboratory mesocosm experiments by which peat cores will be placed in a ‘microenvironment’ where natural field conditions will be mimicked in order to monitor the changing chemistry of the cores in different conditions and assess their ability to sequester carbon. 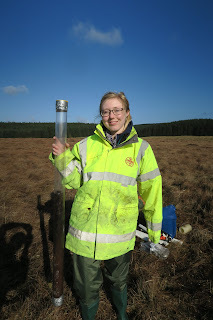 A variety of water samples were collected from: the water level wells, the river which runs across the northern section of the site, and Sphagnum-dominated bog pools. Different Sphagnum moss species were also collected for species identification and chemical characterization. The nature and abundance of carbon within the bog and river water running off the peatland will give insights into the source, stability and fate of different organic molecules being flushed through the peat profile and how their mobility affects the resilience and vulnerability of the carbon being retained within the wetland. Sphagnum moss is the dominant peat-forming species across the Northern peatlands. It thrives in wet, acidic conditions and its high recalcitrance allows it to store large amounts of carbon compared to other peatland plants. Characterizing the water extractable, solvent-extractable and macromolecular chemistry of Sphagnum moss will improve current knowledge regarding its role in carbon cycling within peatland ecosystems. Peatlands are complex systems where carbon accumulation rates exceed decomposition rates, however this balance of carbon uptake and loss may be shifted by periods of intense drought which are becoming more common in the light of climate change. Finding solutions to protect and preserve carbon stocks locked up in peat is essential as we move towards a more sustainable future. Coleen is a PhD student at the University of Newcastle and is being supervised at the BGS by Chris Vane.